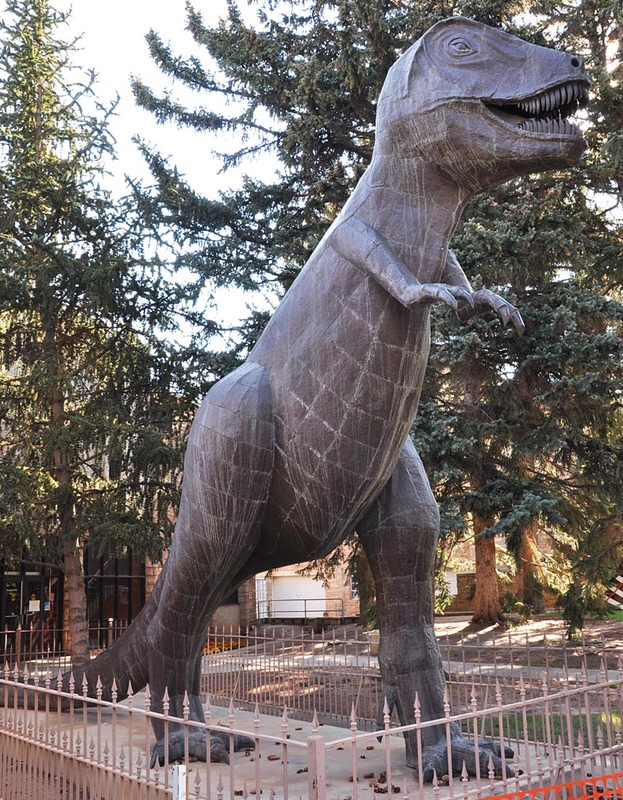 This Tyrannosaurus Rex statue was made from copper plates in 1964. 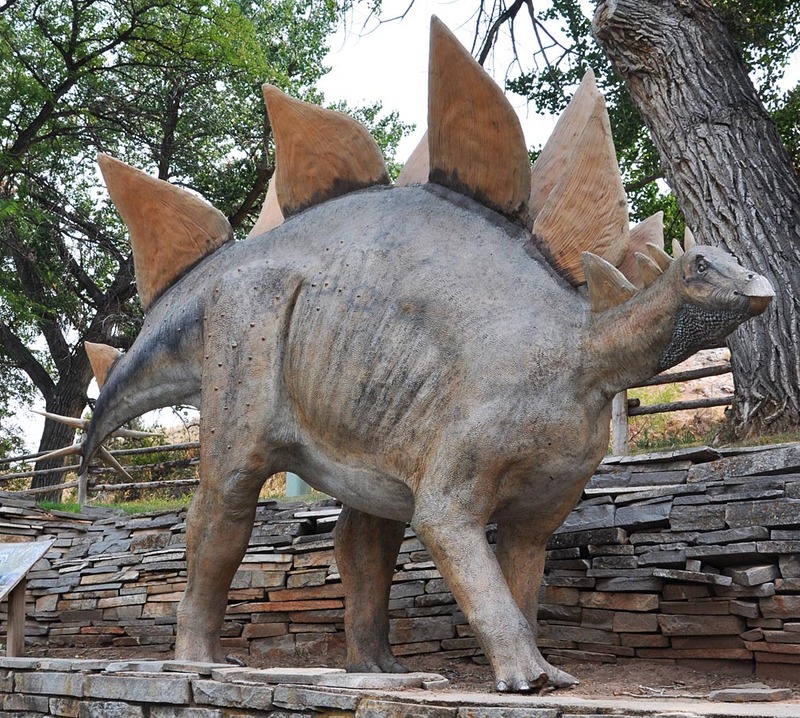 It was created by Samuel H. Knight. 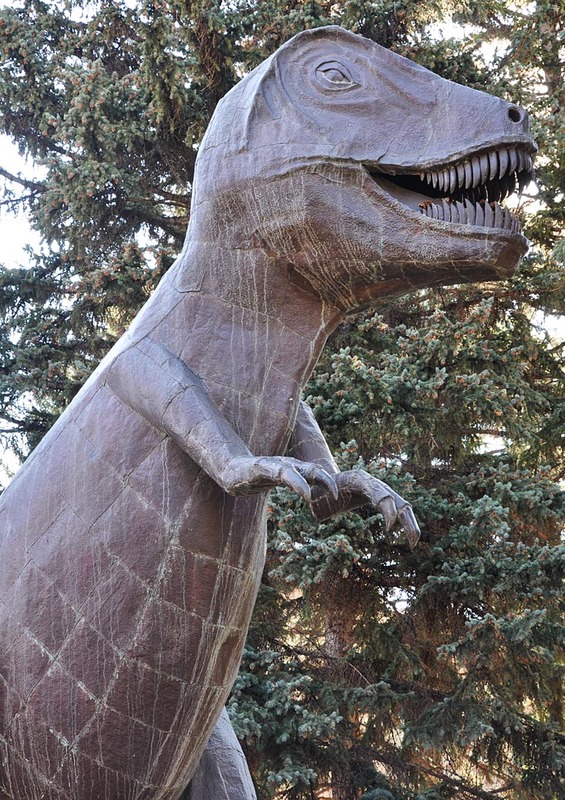 The statue is 18 feet tall. 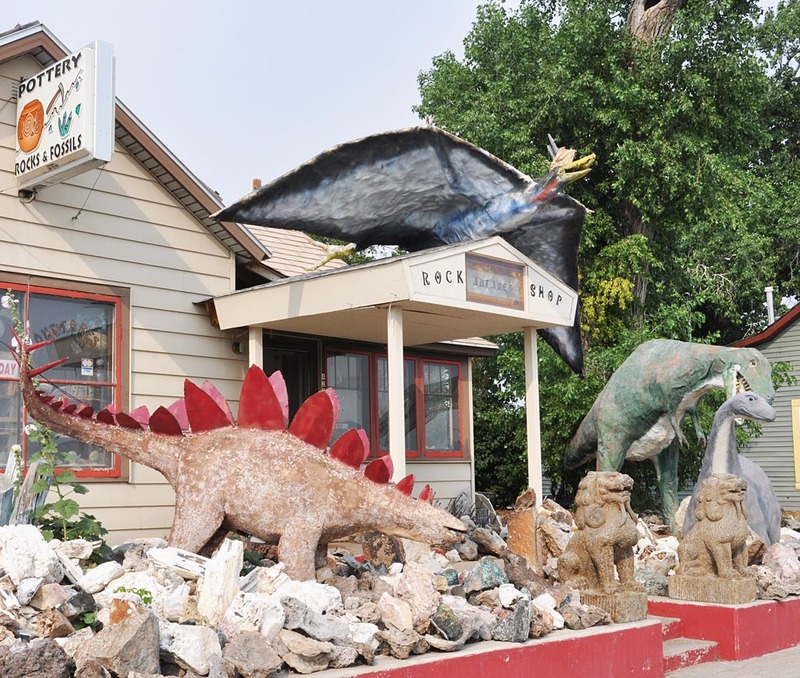 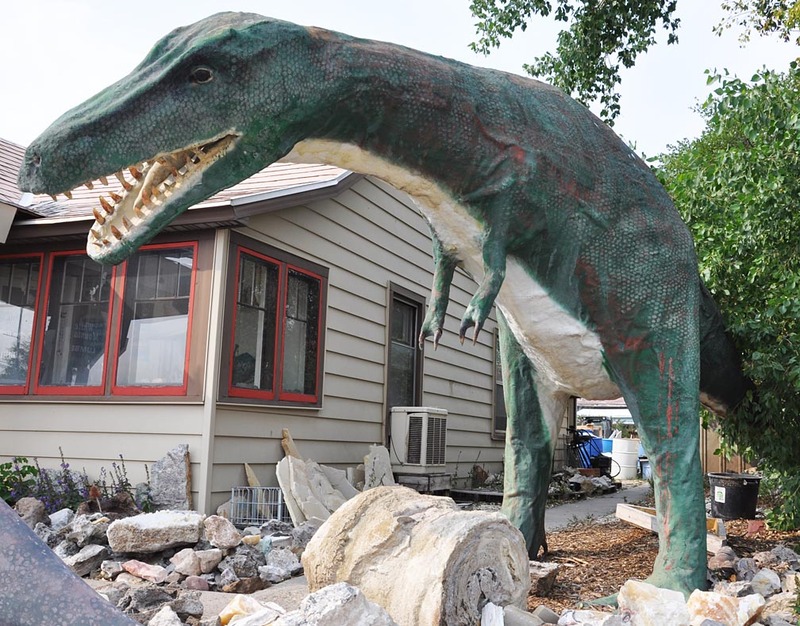 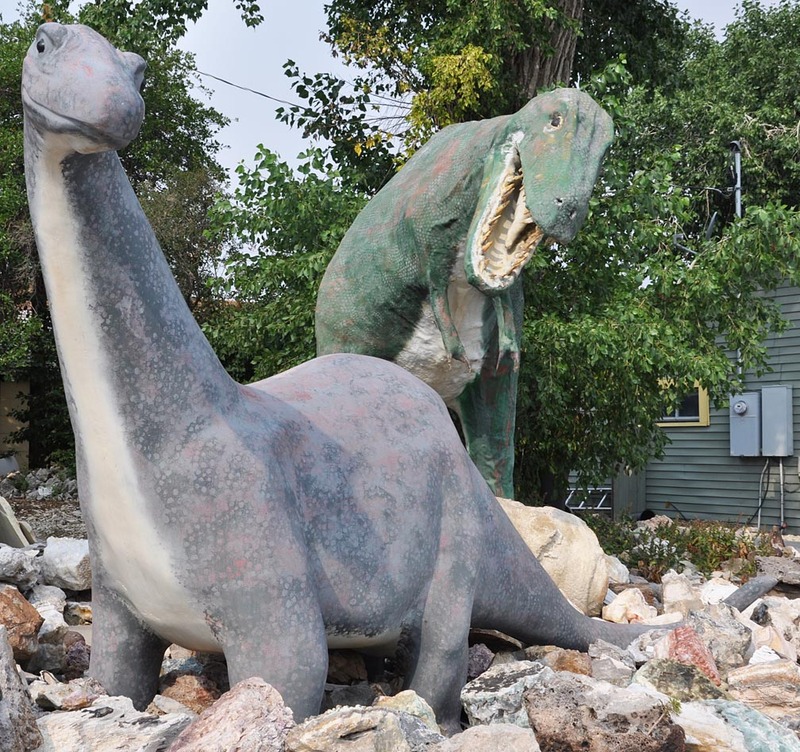 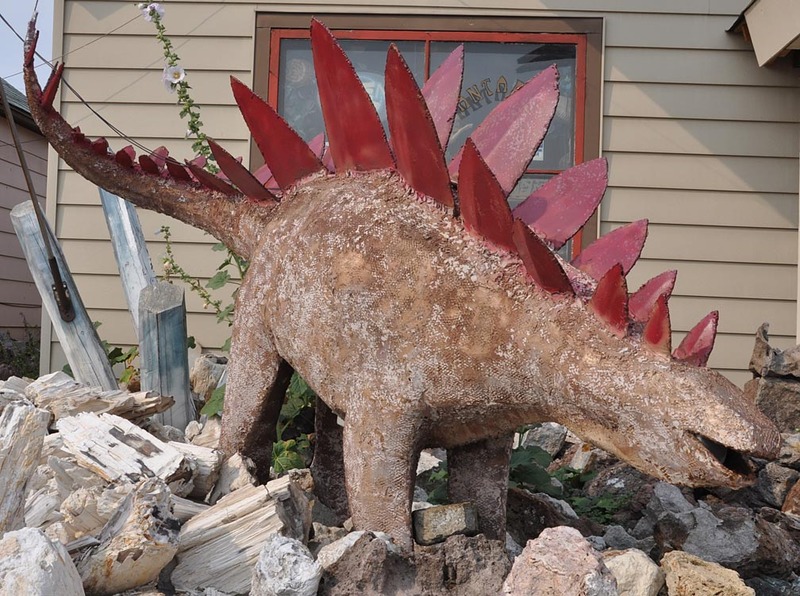 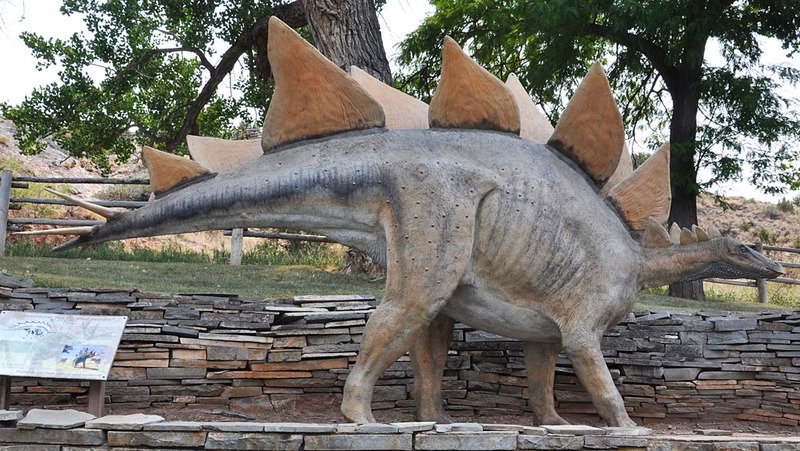 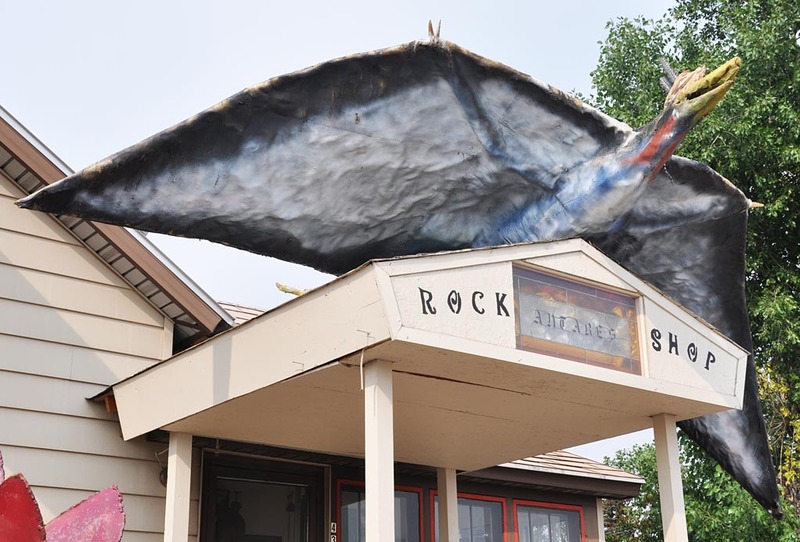 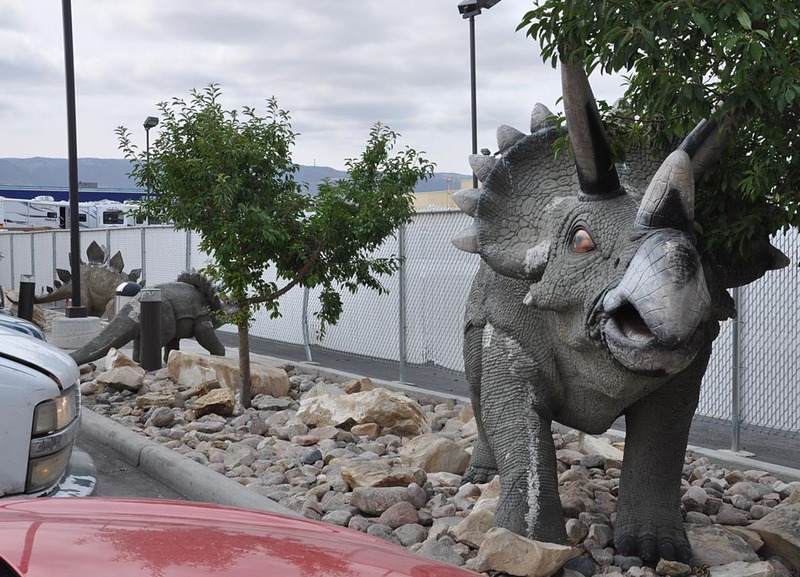 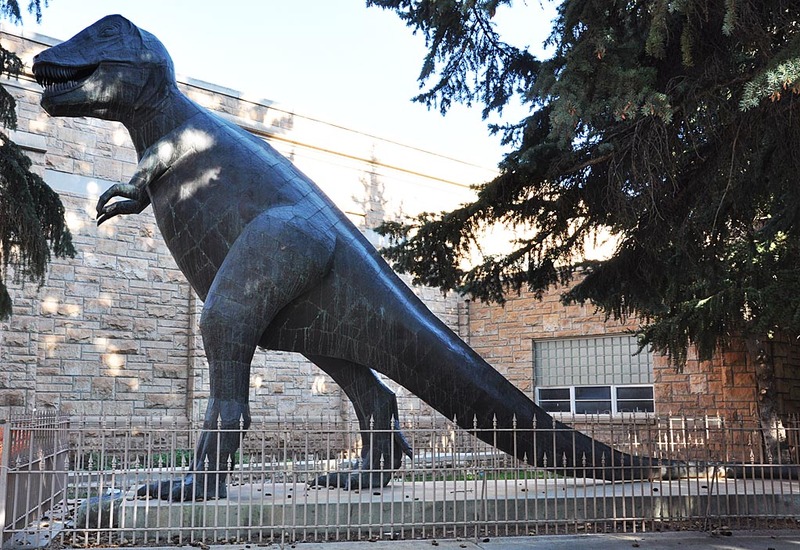 It is installed outside the University of Wyoming Geology Museum.